I've got something going on that I'm not sure if it's normal, I replaced the chain and sprockets when I got the bike 2 years ago, it's done this ever since, the only way to get partially rid of it is if I run the chain tight which I don't like doing. 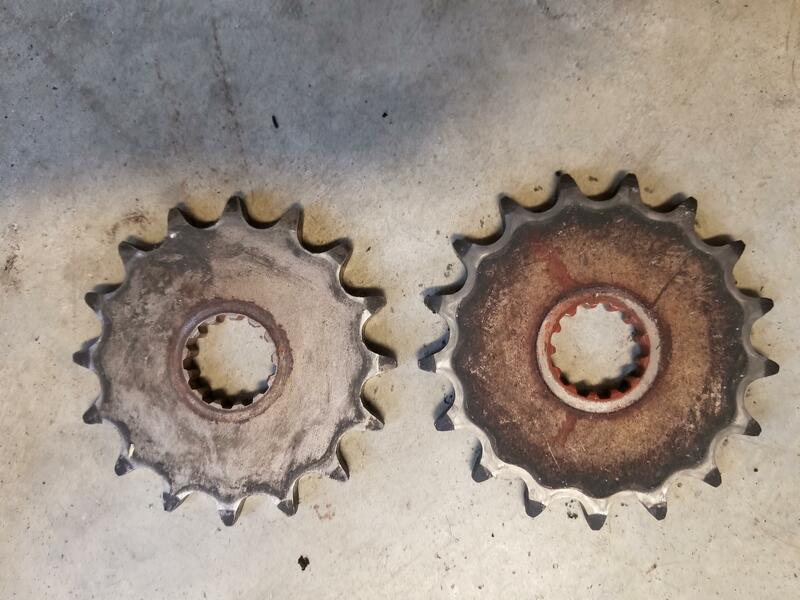 Alignment has been checked over and over, it does it with my 17th and 16th sprockets, you can hear it very noticeable when pulling out, so what gives? I think that's pretty normal, but i'm not an expert. Mine does that too and the chain is old. Are the new chain and sprockets made de REGINA? I ask because they are gold and I've just bought them and plan to replace for the new season. Chain way too loose? Broken or missing rub block? Defective or cheap-o chain? Chain noise while spinning by hand is normal, but it shouldn't be so loud you can hear it while riding, IMHO. Chain was new did jt sprocket.. 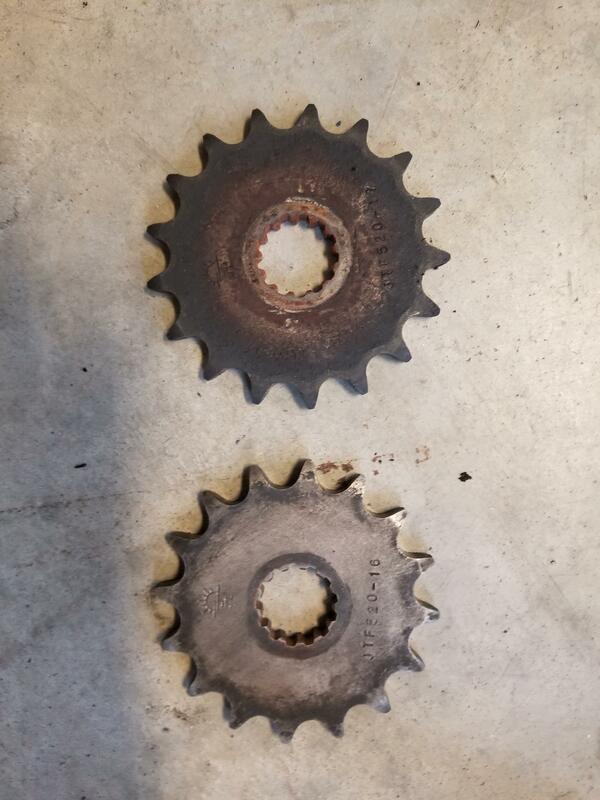 So I decided to switch back to my 16th and I noticed something i missed before, look at the wear pattern on the back side of these sprockets..
Front side looks like no contact? See polished spot on inside outer edges? Correct width chain for the sprocket? Looks narrow. Well back to the 16th, played around with alignment. I think chain got out of adjustment, justvtest rode noise is gone, we'll see if comes back. In the video the chain seemed extremely loose. There should be only 30-45mm / 1.2"-1.8" at the tightest spot. Mine's never made that kind of noise when rotated by hand, but I have heard knocking when riding. Usually related to the chain being too loose or dry. As for the shiny spots mine had those too when I did my first swap from 16 to 17 teeth. Did u grind the inside of the cover for going to 17t? It rubs if I don't. Tick tick tick.. what is it? !